You can try to go raw. Or you can do it The Best Weigh. The Best Weigh Automatic Makeover Program allows those who are ready to transform themselves. You will have arrived in six months instead of still seeking on your own for years. Chris guarantees it. The work is done for you. All challenges and pitfalls are eliminated. all questions answered. This is not our hobby. This is our well established lifestyle. All you have to do is show up, train under his expert guidance and eat the food provided for you. Yes, you do not even have to prepare raw vegan cuisine, From gourmet to every-day, Chris takes you from beginner through intermediate to advanced. You will enjoy the greatest results in the shortest period of time, and at the same time discover how to feed yourself the best way. You can struggle. Or do it The Best Weigh. Chris Califano PFS, has been coaching clients in his Best Weigh Teahcing Kitchen & Efficient Fitness Facility for over 20 years. He has forgotten more than most will learn avout the practical application of food and fitness. 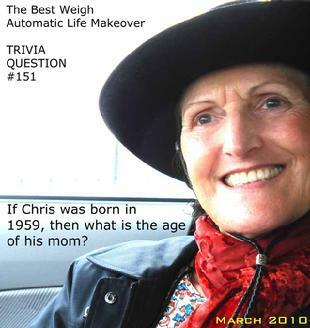 Chris has mastered the art of the total life makeover. 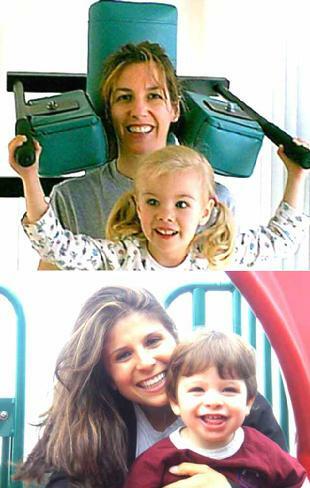 TOP: Tracey knows the lifelong value of teaching her children good habits. BELOW: Nicole wants her children to grow up with the most important tools and habits- food and fitness. You too, can join the very special 12 per year who transform their lives. All you need is the Willpower to Show Up. Step One: Enroll in The Best Weigh Makeover for either the three month, six month or 12 month program; or choose a program from the next paragraph below. Step Two: Tell your doctor that you will miss him or her. 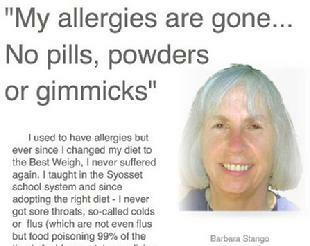 Say goodbye to cold and flu symptoms, plus heart disease, cancer, osteoporosis and diabetes. Remember to maintain deep respect for your valuable genuine medical doctors since they are valuable for trauma or severe injuries. However, you can tell your nutritionist and natural doctor that it was nice knowing them. Step Three: Enjoy compliments as you lose the most excess weight that you ever have, plus firm and develop your muscles more than ever in your life. Also, enjoy the significant increase of strength and endurance as you discover once and for all the most time efficient and result-producing way to exercise and eat. Integrated the best way by someone who has been there, done that. For more schedule details or to set up a consultation appointment either by phone or in person. please send Chris an email here. Please include your full name, email, telephone number and available time slots. Once every few months Chris gives an introductory demonstration and lecture at The Best Weigh Center For Ultimate Health or at a nearby venue, depending on time of year and attendance. If you would like to be kept alerted to these, please get on the RawSkilz Newsletter list here. Bill M. performs a top deadlift with focus. Notice Chris' raw food dishes pictured on the wall. A Certified Physical Fitness Specialist with over 30 years experience training others, and founder of The Best Weigh Center For Ultimate Health, Chris has been offering the most practical use of your time with these Initial Best Weigh Classes plus Best Weigh Coaching. Get the lost "secret" fundamentals of fitness and the lost "secret" fundamentals of nutrition as they apply to the superior raw food diet. Nobody applies these rules, and nobody gets the results that Chris gets for each and every one of his clients. Some are shown here. Chris has designed and has been teaching and facilitating a program that is so efficient yet so practical and complete. It works every time. Two sessions with Chris as your personal fitness specialist and personal wellness chef/ educator will tea you how you can exercise and eat The Best Weigh. Get into better shape than you have even been. Also experience genuine health for the first time in your life. Learn the most efficient strength, cardiovascular and flexibility secrets that few trainers know. Chris literally transforms people, and his track record goes back three decades of remarkable results starting with his own amazing non-steroid morph from a gangly 133 lb. to a muscular 205 lb. super athlete. He maintained this strength and physique on a 100% whole plant food diet without supplements for over twenty years. 100% raw vegan since 2001 and still extremely muscular with incredibly improved endurance at age 51 (as of 2010) that surpasses his fitness level at age 20! Twice per week. Once you learn how to do cardiovascular exercise the quick and easy way, you can do that on your own. You never need a trainer for that. But strength training is critical as it is the most important component of fitness, (See the ACSM) since 1) the majority of people get injured and die prematurely at a late age due to a fall and subsequent hospital infection originally due to a fall, caused by weak muscles, especially surrounding the hip. 2) Most people want to have a strong heart, but heart health has never been proven to be the result of endurance THR exercise but from the proper diet, So cardio is a snap, and weight training the best way is what you must leaner. Tip: it does not focus on little dumbbells, sweaty smelly gyms or chrome and fern health spas, nor does it utilize inner-outer thigh machines or "pec decks". Proper weight training that truly protects you for the rest of your life is a lost art. Chris has mastered it for 33 years. You must have normal joint function to take this class in order to begin the training to get the best results. If you have any problems with your knees, low back or other joints, Chris is quite expert at rehabilitation but it is advisable that you consult an experienced sports/medical physician and get cleared for basic exercise before you sign up just so that you are aware that your best results will only come after you restore your joints to normal function. What do I mean by "best" results. Well, the majority of my male (and female clients, believe it or not) want to build significant muscle, get much stronger for their jobs or children or sports, or they want to firm up to a high degree. If you are a man, for example who desires big muscles, then you must be in normal condition at least in order to begin training for this, the most demanding of routines. Not time consuming, but demanding in the most rewarding way. But if you are suffering from a "bad" knee or "bad" back, then that must be addressed first for obvious reasons. If you are serious about getting into the best shape of your life then you will be serious about rehab. You are in good hands with this program since Chris has many decades experience and knows all the best ways to restore your physical condition or build it if you never had it. in addition to two personal fitness sessions per week, you will also learn hands-on how to eat like a raw athlete even if you have never been raw before. From the best raw vegan natural sports drinks. smoothies and snacks to the absolute best diet for strength, endurance and muscle, Chris will change your life before your very eyes. you get to take home a special meal each time you come to work out. Or, you can book a longer block (when available) and opt to take Chris' famous RawSkilz Class meal by meal as you come for your training. Chris started his raw chef service in 2001, and later expanded to two raw kitchen/ seminar centers on Long Island. on The Best Weigh Six Month Makeover Program. Or save $100 on the Hands On Qui Si Sana Class Consultation. Just send me an email here with "your mom's age" as the subject. Chris'mom is his number-one pupil too. A former NY Ballet balerina who studied under Eglevsky, Namchinova and others, she was trained by Chris for 20 years and has been 95% raw for almost seven years. Being a nerd rather than an athlete or "fitness person" did not dissuade Chris from undertaking the Herculean task of adding lean weight to his tall gangly frame. He used to literally get beaten up in high school after he moved to "the suburbs" from New York City. His first motivation for getting in shape was to "just look normal", but his Type A personality, diligence and hard work caused him to discover the best way to exercise. Even competitive steroid bodybuilders later admitted that they had never seen anyone with such poor leverages for strength training gain that much muscle. And without drugs! Or even supplements. The fact that Chris never trained more than two hours per week only made it harder to imagine. And he was no genetic marvel. Far from it. 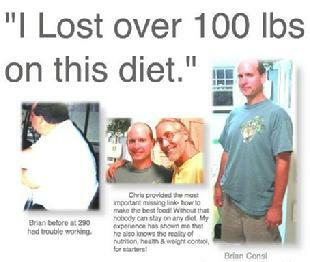 In 1978 Chris Califano coached his first lifestyle make-over students with personal training and real food nutrition. A few years later he founded The Best Weigh in a 600 square-foot facility in Locust Valley, NY and soon expanded to a two-floor wellness seminar and fitness training facility in Westbury which included a second location for larger lectures and equipment that totaled 3,900 square feet. When T. Colin Campbell was developing The China Project more than two decades ago, Chris was already busy facilitating a 100% plant-based diet, transforming the bodies and lives of his clients as part of his total life makeover program that included home gym installation, training, and personal vegan chef service. Transforming his genetically deficient body and health to unrecognizable proportions is what attracted his clients and students. Many had witnessed him build up from 133 lb. to 205 without steroids; without relying on protein powders or vitamin pills or "sports drinks" and other gimmicks. Nothing but real food. He built vegan muscle size and up to 214 lb. while only going from a 32 to a 33 waist in the process, starting at a gangly height of six feet tall at 133. He maintained a bodyweight of about 195-205 for twenty years as a 100% vegan without any pills, powders or supplements. The name "The Best Weigh" was chosen to denote that the best weight a person can be is based on quality not quantity"specifically lean tissue versus adipose weight. Eating a 100% plant-based diet will build your body healthier than an animal-based one. Chris discovered early on that there was a difference between "muscle size" and pure muscle fiber size, which when increased, is much more dense than muscle that has been force-fed. While animal foods, especially cow's milk will in fact make a person "grow" faster, their health and performance suffers significantly. The extra "size" that he body may exhibit is not real muscle at all but simply cells bloated with excess waste that it cannot eliminate faster than the person is consuming it. The quality of muscle cells, and every other cell in your body is fully dependent on the food you eat. Once animal foods are eliminated then the cells become more dense as they get rid of toxic build-up. The result is a leaner, but far healthier body. Pound for pound the body is stronger in all aspects of strength, cardiovascular and flexibility. This was a hard pill for Chris to swallow since he was so underweight to begin with. Switching to a vegan diet was hard enough. Now he had to go raw in 1999! How else would a person who is genuinely concerned with health and wellness eat? For anyone studying and PRACTICING nutrition and REAL FITNESS, raw vegan is a destination that cannot be avoided. If it IS missed then the person was not being true to their original mission of wellness and real physical fitness. They certainly would not be their best weight, from the cells up. This is how Chris's mind works. Why would anyone work out if they did not perform the most important constituent of fitness: strength? Then put secondary emphasis on cardiovascular endurance, and then flexibility. That is how the American College of Sports Medicine defines fitness: Strength, Cardiovascular, Flexibility and Body Composition, in that order of importance. Chris wondered why some people would run, but never weight train. Or they would spend hours a day lifting weights, but never stretch or do any form of dedicated card. Not only that but Chris found out that running for 95% of people is far from an efficient cardio exercise. And that stretching was being performed wrongly by the majority who did int either on their own or in most yoga classes. He also discovered that going raw would increase anyone's endurance ten times more (no exaggeration) than even the best Target Heart Rate training done three times per week. Why were TV ads still brainwashing people with "Seven Minute Abs" when Chris and all his clients were getting better results while worrying their abdominals less than two minutes per week? Why were most people confused about nutrition? Why did most people think that "natural doctors" and nutritionists held the key to wellness? 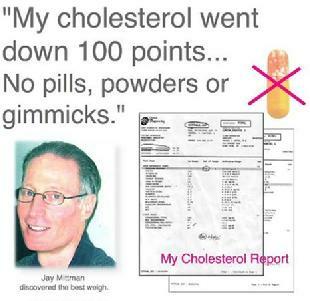 Almost 50 years of vitamins, powders and gimmicks and people were actually dying at a faster rate than before the so-called "wellness and fitness" consciousness that had spread across the civilized world. His clients may come to him with one thing in mind, but they soon discover that fitness, nutrition and wellness are mostly hype and marketing. Luckily for the few, real wellness is "just business as usual" albeit totally non-popular. This is what Chris has focused on for the past three and a half decades, and why he embraced raw right from the start. Born in Manhattan, he acquired a college-level reading comprehension skill in the fourth grade SRA reading tests. Why is this pertinent? Simple. Chris emphasizes that there are very few "educated" vegans, raw vegans, or even meat eaters out there. He points out that unfortunately, most people defend or debate what they are taught without ever actually learning and applying the fundamentals of nutrition. If they did, and they wanted to end cold and flu symptoms forever (a vastly stronger immune system is just one of the benefits of adopting a proper diet), as well as increase their endurance, strength, and performance, then they would eventually adopt a plant-based diet. There is no way that an amimal-based or processed diet can prevent suffering, both in the human body, locally, or globally to the extent that a proper, fundamentally sound plant-based, mostly raw or preferably 100% diet can. This has been his experience. Don't knock it til you have ACTUALLY TRIED IT. For a long time. The right way. In other words, it all starts with reading comprehension. And more importantly, application of same. In fact, Chris will tell you that it is better to read and apply the "wrong" information if you actually do it and experience it with total personal scientific awareness. Then you can make modifications until you eventually get it right. That means no more suffering. Period. On sore throat, or congested night's sleep, or need to "take something" and you are not healthy; you are only talking yourself into health. People call that "health conscious". What Chris is interested in solely is HEALTH PRACTICING. It was business as usual for him to soak up information but his favorite line is "Most people eat soup with a fork" , referring to the focus on the extraneous and the performance of same. Chris's knowledge base is built not only on over three decades of research, but on actual facilitation of experience. No matter how attached he ever became to any particulate modality, he always let go his ego to explore the best way, and never taught a program unless he had many many years of trial and error udder his belt first. He has interviewed dozens of trainers, for example who had a certification or two, but who could not perform the basic core exercises correctly or safely or even know that they were core exercises. In fact, many of them actually thought hat the deep or even parallel knee-bend was bad for you knees or back! Not only has this been disproven in physiologic circles for as long as exercise exists, but the squat has been the number one most important exercise known to mankind. When The China Study started to become recognized, Chris had already gone to the next level of 100% raw plant-based, and after several years of helping others obtain the same results of incredible health and fitness, he is now answering demand by bringing his BEST WEIGH TOTAL LIFE MAKE-OVER program to the masses. He will continue to coach and teach those who are local how to experience genuine health as part of the program, and also continue coaching those who can not attend classes at The Best Weigh in Glen Cove, along with the help of his raw team. Please note that every member of the raw team has been 100% or at least 95% raw vegan for at least six years. most much more. They have also been certified by Chris after completing the six-month Best Weigh Total Life Makeover program and by acquiring a minimum of 100 hours apprenticeship in the Best Weigh Raw Kitchen. Phone coachng will be available again in September. In the meantime, contact Chris here to get your name on the list. It fills up fast. (Please include a brief email of your needs, times available, and city, country. Thank you). Phone coachng will be available again in September. In the meantime, contact Chris here to get your name on the list. It fills up fast. If you live or work locally you can schedule an appointment for a constultation at The Best Weigh Longevity Center, Chris' two-floor raw wellness and fitness center in Glen Cove NY.